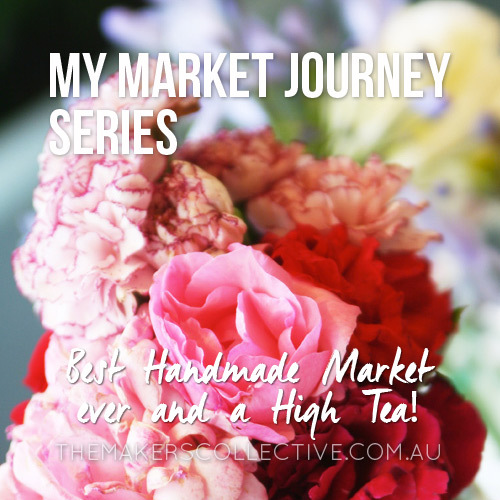 My Market Stall Journey - Best Handmade Market ever & a High Tea! My Market Stall Journey – Best Handmade Market ever & a High Tea! How good is it when it all just starts to “work”?? So good. After a long year, a LOT of learning, researching, experimenting and a bit of failing, by December of 2010 everything was going pretty swimmingly. Best Handmade Market ever & a High Tea! Last weekend was the Christmas Handmade Market, which just quietly, I thought was going to be a disaster. With torrential rain in Canberra the whole week leading up to Saturday, I thought we would all be huddled under our gazebos shielding our wares from the splashes, while all our customers stayed safely at home out of the rain. Luckily, I’m terrible at predicting the future, and it was absolutely AMAZING. The weather was glorious, and the largest crowds I’ve ever seen for Handmade came through the grounds at Kamberra Winery. I had a really successful day, with many of my items selling out! My new collection was a huge success, I’ve now ordered more supplies to be able to stock up my online store for the new year. A huge thank you goes to my muma and JA who helped set-up and pack up, and stayed with me for most of the day, keeping me company and also manning my stall whilst I went and looked around everyone’s goodies. I bought some lovely things, a gorgeous necklace from Wah-Wah wears, pretty decorative tiles from Rare Beastie, and a cute pair of earrings from Moyou Designs. I also stopped to chat with Louise at Poppy Letter Press, and hopefully she will be bringing the most gorgeous letterpress art pieces to the next market in February! The Christmas market was also the first time the Handmade Living book went on sale, which I feature in! And to follow that up, I was one of the designers featured at the absolutely divine High Tea today, hosted by Meredith at Dalton’s Book store in the city, orchestrated by Tania McCartney (what an inspiration that woman is, and lovely!) and the Handmade Canberra team. It was so nice to meet some of the other designers in the book, and of course everyone is so very nice and friendly! The other designers were: Jennie of Posie Patchwork (and her wonderful husband Drew who always helps lug things around for us! 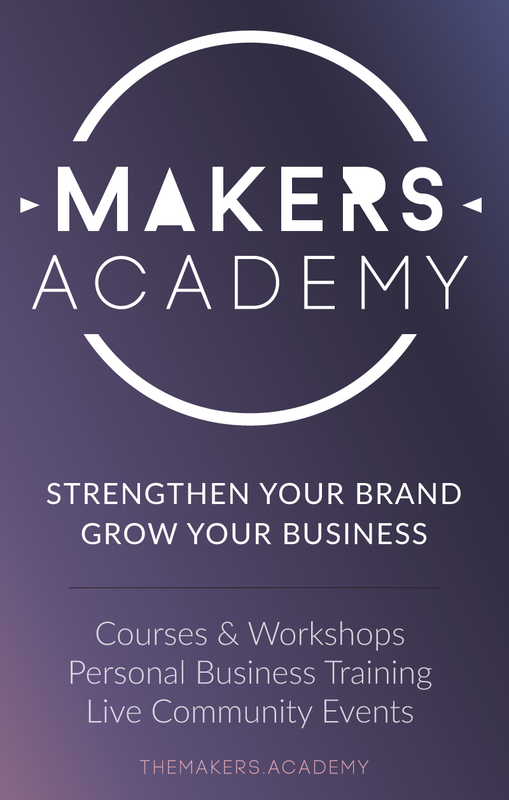 ), Michelle of Poppy Bean and Bloss, Tine Snerling of Tiny Concept, Polly of Polbymade, Naomi of Highland Habitat, Anthea of Real Chai and Kate from Kate Ward. The invitees included people from various media and of course limited tickets went to the public, who all enjoyed a delicious spread put on by the handmade ladies (all home made of course!) with tea and coffee. The beautiful little girls belonging to Jennie, Julie and Tania were running around helping out too, so cute. It was a fantastic morning and I’m so glad to be meeting more of my fellow Canberra Creatives. Now I’m off to stock my online store with some gorgeous Sakura clocks! How good are you at celebrating your successes? Most of us need to get better at it, and it’s so important to do, to stay enthusiastic and keep on keeping on… Feel free to share a success you’ve had recently so we can help you celebrate it!